Founded in 2001 by internationally renowned photojournalist Reza, the non-governmental organization Aïna is working to unite artists in their support for democracy and freedom of expression in Afghanistan, through independent media and culture projects. 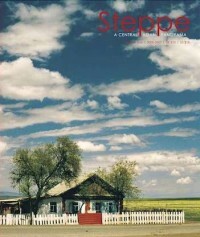 In April 2002, Aïna started an important visual education project. Eight mobile units travelled across the country screening educational movies (produced in Afghanistan by Afghans) for women in schools and women’s centres. 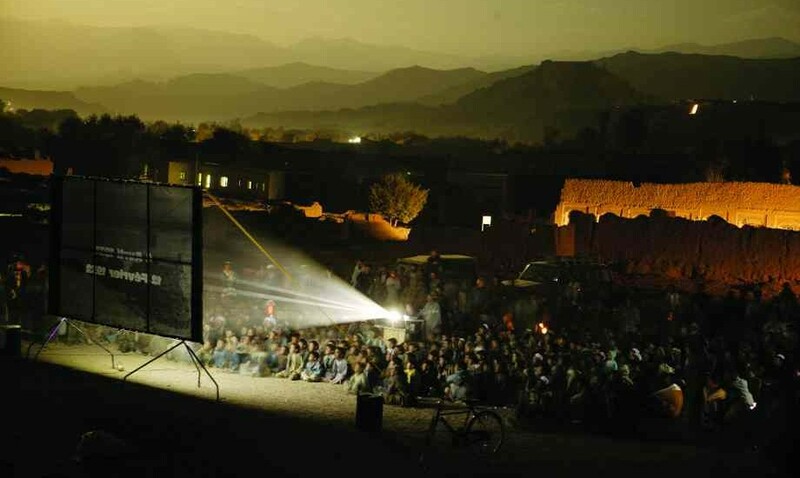 The success of this campaign established mobile cinemas as a new medium within post-conflict Afghanistan, since they are able to reach populations outside the traditional broadcast media. Another eight mobile cinema units were introduced, and the entire project has since been transferred and is run by Afghans with the help of the governmental agency Afghan Films. In this picture, the mobile cinema has been erected in Bamiyan at the foot of the Buddhas destroyed by the Taliban. For many of these Afghans, it was the first time that they had been to the cinema.